AbuZar Ghifari RA is very famous among the Sahabah for his piety and knowledge. Saidina Ali RA used to say: "AbuZar RA possesses such knowledge that other people are incapable of acquiring." When he first got news of Nabi's SAW mission, he appointed his brother to go to Makkah and make investigations regarding 'the person' who claimed to be the recipient of Divine revelation. His brother returned after the necessary enquiries and informed him that he found Muhammad SAW to be a man of good habits and excellent conduct and that his wonderful revelations were neither poetry nor magic. This report did not satisfy him, he therefore decided to set out for Makkah and find out the facts for himself. On reaching Makkah, he went straight to the Haram. As he did not know Nabi SAW, he did not consider it advisable at that time, under the circumstances prevailing, to enquire about him from anybody. When it became dark, Saidina Ali RA noticed him and could not ignore him as he was a stranger. 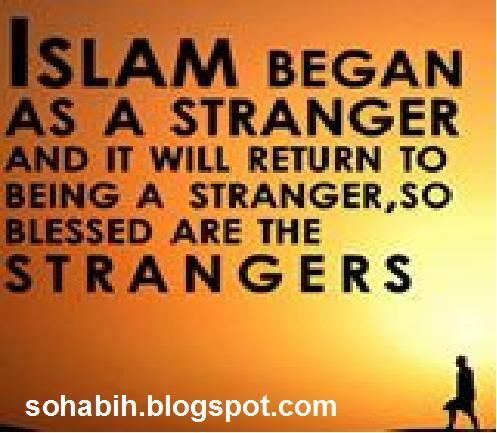 Hospitality and care for the travelers, the poor and the strangers was the Sahabah’s second nature, he therefore took him to his place. Neither did he ask him about the purpose of his visit to Makkah, nor did Abuzar RA himself disclose it. "Brother, what brings you to this town?" 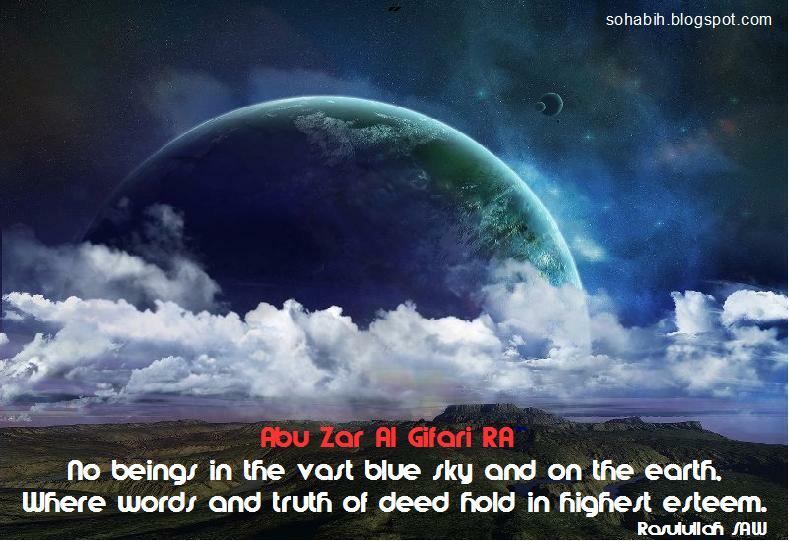 Before replying, AbuZar RA took an undertaking from Saidina Ali RA that he would speak the truth. He thereafter inquired from him about Muhammad SAW. 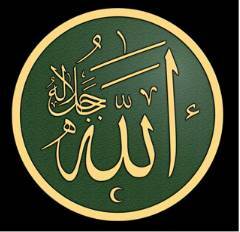 "He is verily the Nabi of Allah. You accompany me tomorrow and I shall take you to him, but you have to be very careful, in case the people come to know of your association with me, and you get into trouble. When on our way I sense some trouble, I shall get aside pretending some necessity or adjusting my shoes, and you may proceed ahead without stopping so that the people may not connect us." The next day, he followed Saidina Ali RA , who took him before Nabi SAW. In the very first meeting, he embraced Islam. Fearing that the Quraish might harm him, Nabi SAW enjoined upon him not to make an open declaration of his Islam and asked him to go back to his clan and return when the Muslims had gained the upper hand. 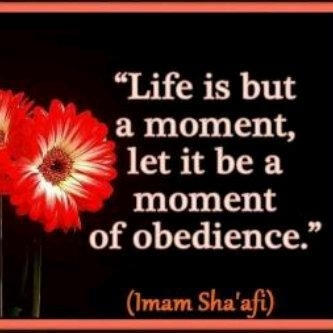 "O, Nabi of Allah! By Him who is the master of my soul, I must go and recite the Kalimah in the midst of these unbelievers." 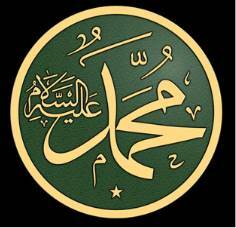 that Muhammad SAW is the Nabi of Allah." People attacked him from all sides and would have beaten him to death if Abbas (Nabi's SAW uncle, who had not till then embraced Islam) had not shielded him and saved him from death. Abbas said to the mob: "Do you know who he is? He belongs to the Ghifar clan, who live on the way of our caravans to Syria. If he is killed, they will waylay us and we shall not be able to trade with that country." This appealed to their common sense and they left him alone. AbuZar repeated the Shahadat the next day and would have surely been beaten to death by the crowd had not Abbas once again intervened and saved him for the second time. The action of AbuZar RA was due to his extraordinary enthusiasm for proclaiming Kalimah among the disbelievers, and the prohibition by Nabi SAW was due to the soft corner in his heart for AbuZar RA, lest he be put to hardships that might prove too much for him. There is not the least shadow of disobedience in this episode. Since Nabi SAW himself was undergoing all sorts of hardships in spreading the message of Islam, AbuZar RA also thought it fit to follow his example rather than to avail of his permission to avoid danger. It was this spirit of Sahabah that took them to the heights of material and spiritual progress. When a person once recited the Kalimah and entered the fold of Islam, no power on earth could turn him back and no oppression or tyranny could stop him from Tabligh. 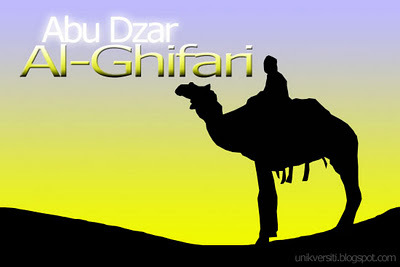 Abū Dhar al-Ghifari al-Kinani ( أبو ذر الغفاري الكناني), also Jundub ibn Junādah ibn Sufian (جُندب بن جَنادة), was the fourth or fifth person converting to Islam. He belonged to the Banu Ghifar, the Kinanah tribe. No date of birth is known. He died in 652 CE, at al-Rabadha, in the desert east of Medina. Abu Dhar is remembered for his strict piety and also his opposition to Muawiyah I during the caliph Uthman ibn Affan era. Shia venerated Abu Zar RA as the companion of the early sahabah and followers of Saidina Ali. The facts are this is a total fabrication by the shias, There is no shia sect at that early time of sahabah even Saidina Ali have nothing to do with the shia. Complete lies and make up story by the heretic shia sect. Little is known of his life before his conversion to Islam. Abu Dhar is said to have been a serious young man, an ascetic and a monotheist even before he converted. He was born to the Ghifar clan, found to the western south of Medina. Abu Dhar was apparently typical of the early converts to Islam, described by Ibn Shihab al-Zuhri as "young men and weak people". They were a branch of the Banu Kinanah tribe. Quraysh clan of Muhammad was also a branch of the Banu Kinanah tribe. Popular accounts of Abu Dhar say that his tribe lived by pillaging caravans, but that he preferred to live a poor but honest life as a shepherd. Having heard the supposition that a new prophet had arisen in Mecca, Abu Dhar and his brother travelled to Mecca to find the prophet. The young seeker converted instantly and rushed out to declare his new faith in front of the Kaaba, which at that time was a pagan temple. He was beaten for his religious belief. He did this three days in a row, after which the Prophet Muhammed told him to return to his clan, where he taught his people about Islam. He and his tribe then joined Muhammad after the Hijra, or migration to Medina in 622 CE. This seems to be a simplified account of stories reported in these hadiths, . According to the early Islamic historian Muhammad ibn Jarir al-Tabari, Abu Dhar claimed to have been the fourth or fifth convert to Islam. However, Saad bin Abe Waqqas made the same claim. While the exact order of conversion may never be established, no one doubts that he was a very early convert. He participated in the Battle of Badr. Muhammad's forces included Abu Bakr, Umar, Ali, Hamza, Mus`ab ibn `Umair, Az-Zubair bin Al-'Awwam, Ammar ibn Yasir, and Abu Dharr al-Ghifari. The Muslims also brought seventy camels and two horses, meaning that they either had to walk or fit three to four men per camel. However, many early Muslim sources indicate that no serious fighting was expected,and the future Caliph Uthman stayed behind to care for his sick wife Ruqayyah, the daughter of Muhammad. Salman Al Farisi also could not join the battle, as he was still not a free man. His life after the demised of Rasulullah SAW. Abu Dhar had begun his agitation in Medina after Saidina Uthman RA had given 500,000 dirhams to Marwan I, 300,000 to al-Harith b. al-Hakam, and 100,000 to the Medinan Zayd ibn Thabit from the khums of the booty seized in Ifriqiya in 27/647. He then quoted relevant Qur'anic passages threatening the horders of riches with hell-fire. Marwan complained to Saidina Uthman RA, who sent his servant Natil to warn Abu Dhar RA, but to no avail. Saidina Uthman RA displayed patience for some time until, in the presence of the caliph, Abu Dhar RA launched an angry verbal attack on Ka'ab al-Ahbar, who had backed Saidina Uthman's free use of public money. Many hadith, oral traditions, are traced to AbuZar RA. He is respected as an early and observant Muslim, and a man who was honest and direct to a fault. He was, according to the Sunni tradition, a rough, unlettered Beduin who held no high office, but who served the Muslim community, the Ummah, with everything he had to give. During the caliphate of Uthman, he stayed in Damascus and witnessed Muslims deviating from Islam, going after worldly pleasures and desires. He was saddened and repelled by this. So Saidina Uthman RA invited him to come to Madinah. where he was also hurt by people's pursuit of worldly goods and pleasures. Abu Zar then asked Saidina Uthman RA to go to al-Rabathah, a small village eastern Madinah. Saidina Uthman RA approved his request. Abu Zar stayed there away from people, holding on to the traditions (sunnah) of Muhammad SAW and his companions. A man visited him once and when he found his house almost bare, he asked Abu Zar: "Where are your possessions?" Abu Zar said: "We have a house yonder (meaning the Hereafter), to which we send the best of our possessions." The man understood what Abu Dhar RA meant and said: "But you must have some possessions so long as you are in this abode." "The owner of this abode will not leave us in it," replied Abu Dharr RA. Also, when the Prince (Amir) of Syria sent Abu Zar three hundred dinars to meet his needs, he returned the money saying, "Does not the Amir find a servant more deserving of it than I?" Abu Zar continued in his simple life, and dedicated himself to Allah only until he died, in 652 CE. Al-Rabathah is a desert between Makkah and Madina. It is a barren land. No one inhabits it. But in the year 30 A.H., there was only one tent. In the tent there were an old man, an old woman, and their daughter. Why did the old man inhabit that distant area in the middle of the desert? He did not inhabit it of his on accord - the Caliph banished him to die there. Dhar's mother; why do you weep? Why shouldn't I weep and you're dying in this desert? "One of you will die in the desert. And a group of believers will attend his death." All my friends passed away in their houses. And no one has remained but I. A person will come to your aid. The time of Hajj (Pilgrimage) is over. And no one has passed through this desert. Don't worry! Go up the hill and look at the road of caravans. The old woman went up the hill and looked. A long time passed, in the distance, the old woman saw a caravan coming towards her. The old woman waved a piece of cloth. The riders wondered and asked each other about that lonely old woman in the desert. My husband is dying. And no one is beside him. Abu Dhar, the companion of Allah's Apostle! Abu Dhar! The Prophet's companion! Come on! Let's see him! Assalamu Alaik, companion of Allah's Apostle! Wa Alaikum al-Salam, who are you? Malik bin al-Haarth al-Ashtar. And there are some men with me from Iraq. We're going to Madina to tell the Caliph about the persecution we suffer from the Umayyad Dynasty. My brothers, be cheerfull! Allah's Apostle [s] has told me that I'll die in the desert and that some believers will attend my death. "May Allah have mercy upon Abu Dharr! Lonely will he live, lonely will he die and lonely will he be resurrected"